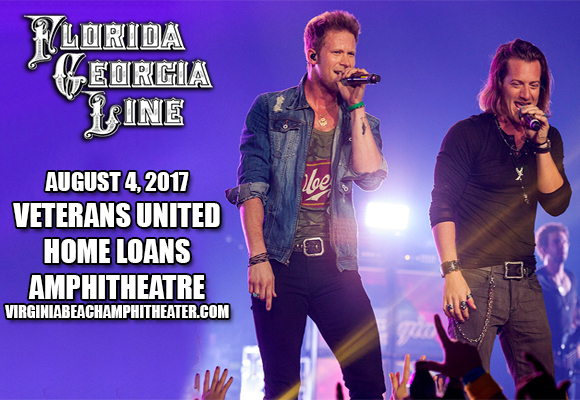 Award-winning, platinum-selling, bro-country hit-makers Florida Georgia Line are back on tour for 2017! Having had huge success with last year's stint on the road, they're extending the Dig Your Roots Tour and are coming to Veterans United Home Loans Amphitheater on Friday 4th August 2017! They'll be joined by rap superstar Nelly & country crooner Chris Lane for a night of damn good music! Having met at university in 2008, vocalists and friends Brian Kelley and Tyler Hubbard decided to form country music duo Florida Georgia Line. After a few independent releases, the band signed a publishing/ production/ management deal with Big Loud Mountain in 2011, releasing their single “Cruise” with them the following year. “Cruise” was a breakthrough hit for the pair, becoming the best-selling country digital song of all time, with sales surpassing 7 million; and spent 24 weeks at #1 on Billboard's Hot Country Songs Chart, the longest reign in the history of the chart. They signed to Republic Nashville later on in 2012, releasing their major label debut album, Here's to the Good Times, in December. Florida Georgia Line's second album, Anything Goes, was released on October 14, 2014, and their third, Dig Your Roots, was released on August 26, 2016.